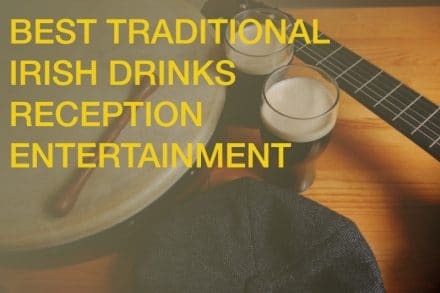 A Live Music Entertainment Act for your Drinks Reception Music immediately puts in place a welcomed atmosphere for your guest’s arrival and sets the tone for your evening ahead. Therefore choosing wisely and the right Wedding or Corporate Band or Solo Performer is important and if you are aiming for a serene ambience to greet your party guests, we have a wonderful Guitarist / Pianist for your event on our roster. Introducing Daragh Butler! Please do feel free too call +353-1-201-3660, Faye or Suzy would be happy to provide you with all the details on how to book Daragh for your Corporate Event or Private Party. Daragh Butler has been playing guitar for over twenty years and has over fifteen years performing experience, playing in such venues as the Olympia Theatre Dublin, The Wexford Opera House, The Millennium Forum in Derry and The Pavilion Theatre in Glasgow. He has also performed on top radio stations including RTE 1, Today FM, Newstalk and BBC NI. Studying in his Twenties under Ireland’s leading guitarists and composers, he won first prize in the Senior All Ireland Guitar Competition. Daragh has been playing piano for seven years and has been playing at a church service twice a week for the past three years, as well as that the skilled Piano Player and Pianist has gathered a lot of experience performing at Weddings and Corporate Events, collaborating with singers, flautists and pipers.